Peace of mind from quality service, love of prime locations, and the best possible vacation—that’s what you get at a Rosen Hotel. Relax, drink, and take in a game or karaoke at the lounge. Dine on site. Sunbathe by seasonally-heated pools. Or host your dream party and wedding in our event rooms. Relax in the comfort of your guestroom featuring Simmons Beautyrest® pillow top mattresses, separate vanity and bath areas, and many homelike conveniences. Fun and value continue with FREE shuttles to Universal Orlando® Resort, SeaWorld®, and Aquatica®. 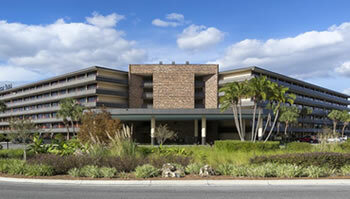 Free shuttles to Walt Disney World® and local outlet malls launch from Clarion Inn LBV. You’ll always find a friendly and safe stay at a Rosen hotel. All that’s missing is you.